This topic discusses how to use the mysql-diag tool in MySQL for Pivotal Cloud Foundry (PCF). 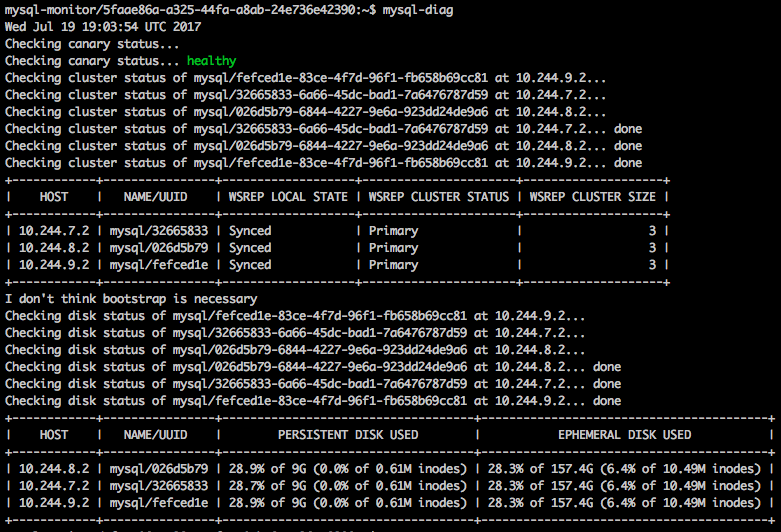 mysql-diag prints the state of your MySQL highly available (HA) cluster and suggests solutions if your node fails. 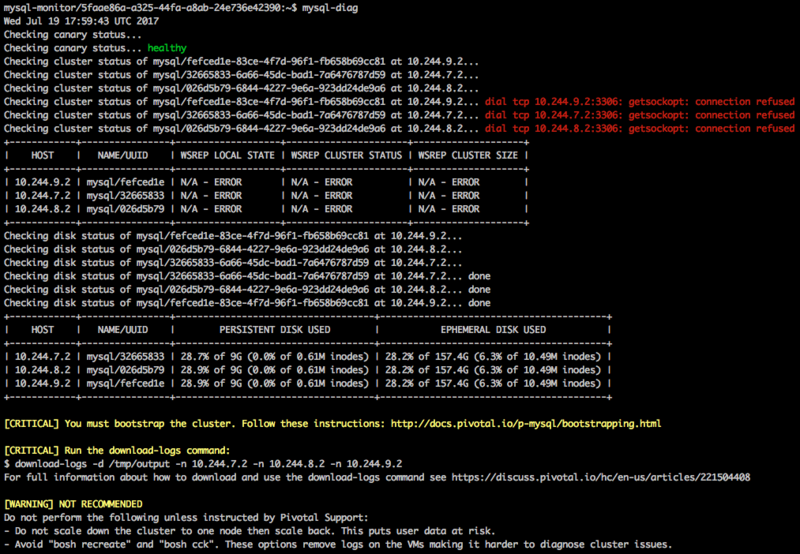 Pivotal recommends running this tool against your HA cluster before all deployments. Obtain the information needed to use the BOSH CLI by doing the procedure in Gather Credential and IP Address Information. SSH into your Ops Manager VM by doing the procedure in Log in to the Ops Manager VM with SSH for your IaaS. Log in to your BOSH Director by doing the procedure in Log in to the BOSH Director. Record the GUID associated with the mysql-monitor VM, also known as the jumpbox VM. GUID is the GUID you recorded in the previous step.